“Jen took a fabulous shot of us down at the lake, a wide-angle, with us in the right hand side of the frame and the lake stretching out in the background. the sun was setting, and she picked up the colour changes, the reflections… Its just a great shot. I like it so much I made it my desktop. Our event was pretty small, and we’d made it clear to all the vendors present that they were more than welcome to mingle, introduce themselves, and generally be a part of the day in the same way that the guests were. Being the groom, I was kind of rushed off my feet going here and there for various things, but its a really nice feeling to have your guests come and tell you they met your photographer and she’s a wonderful woman. She’s got a very light, breezy and overwhelmingly positive demeanor that made her a joy to work with; practically every shot she has of relatives and friends its clear they are having a good time and enjoyed working with her! As we were doing a small event and trying to cut costs as much as possible, we sounded out a number of photographers and were surprised at the contrast between their pricing and hers. It was pretty clear what we’d be paying for, and what we’d expect to receive, a large contrast from the other photographers we’d contacted who were less than clear about things. Jen didn’t attempt to nickel-and-dime us in any way and her no-frills package included all the shots she took on a DVD, as well as hosting online so our relatives and friends could order prints themselves (which is pretty handy, as I had relatives coming in from overseas). “If forced to pick absolutely just ONE favorite photo, I would say that it’s one of the photos during our first dance. My wife was looking over my shoulder as my cheek rested on hers. She was looking into the camera, but only her eyes were peeking from my shoulder. The happiness she had that day was all in her eyes, and even without seeing the rest of her face, you just know she’s smiling a very genuine and happy smile. A perfect capture that only a truly seasoned photographer can make! And as if that wasn’t enough, Jenn made masterful use of a remote flash to produce a VERY, VERY dramatic lens flare. I’m a serious photography enthusiast, and I absolutely LOVE her work. My father, who used to be a professional photographer who back in the day and had photography exhibitions in some of the most prestigious art galleries in my home country, was likewise very impressed with her work. That says a lot! We could not have chosen a better photographer to capture the memories of our wedding day. Jenn is very skilled at not disrupting anything. She blends in very well. At times we even forget we have a photographer busy taking pictures! She also has a great eye and trigger finger for “the moment” (and there were A LOT of those that night). She’s right in the midst of all the action. She caught our relatives wiping the tears from their eyes during the ceremony, our guest twirling her scarf around as she danced (and everybody laughing with her) during the reception, and the fleeting expression of happy surprise on my mother’s face when I danced with her, which she kept for less than a second. This, in my humble opinion, exemplifies how truly seasoned a photographer Jenn is. The portraits Jenn produced were also far beyond what we expected (and we had very high expectations, knowing how good she is after seeing her portfolio). Really, you can’t go wrong with picking Jenn as the photographer for one of the most important days you’ll have in your life. “Book It. Immediately. If Not, Sooner. Seriously. The pictures were so candid and so unique – it make them so special! I’m pretty sure every wall in my house will have one of the pictures because I cannot get enough of how amazing they are. My husband is not photogenic at all and I have the most amazing photos of him, I can’t thank her enough for this. Jenn is fantastic with candids! She did a phenomenal job going around and capturing the day. Even for ‘posed’ pictures she didn’t instruct us on what to do, she wanted for the best moment and captured when my husband and i were really enjoying the moment. There are also some SWEET dancing pictures! Jenn took care of it, she knew what to do and didnt’ have to ask or bug me about anything. If I didn’t like being around her so much, I would have forgot she was even there! We got the sweet and simple and added a few hours of coverage. We have an album, 8 hours of coverage, one photography (why get two when one does such a good job?). She had a TON of different options of packages and was super flexible about creating your own. When we first began planning our wedding, we weren’t sure that we wanted to spend money on hiring a photographer. Looking back on our experiences with Jennifer and the results she gave us, we are so happy that we didn’t just ask a friend or relative to take some pictures of the day. The pictures Jennifer took beautifully captured the spirit of our wedding, and we will treasure them for the rest of our lives. There were so many pictures that we just loved – it’s really hard to pick one. We were lucky to meet with Jennifer again the morning after our wedding to do a photo shoot on a beach. She snapped one of our favorites while we thought she was simply adjusting her lighting – we didn’t know she was taking pictures, so the photo is really natural and highlights a special part of our relationship. We didn’t know we looked at each other like that! One of Jennifer’s great gifts lies in her ability to capture fleeting yet significant moments, giving us the chance to see through her perceptive eyes. Jennifer handled a wide range of photos with discretion and expertise. Her presence was never intrusive. She took beautiful, tasteful pictures of me getting dressed and then switched gears at the end of the ceremony to direct portraits of up to 30 people (including children) at once. Her professionalism in both situations, as well as in all the situations in between, really set everyone at ease and yielded wonderful results. Jennifer can get the perfect shot quickly, which allowed us to get through all of the formal portraits we had requested (and more) without feeling rushed. Jennifer also designed a book including highlights from both shoots (primarily the wedding). “Best wedding photographer, EVER. 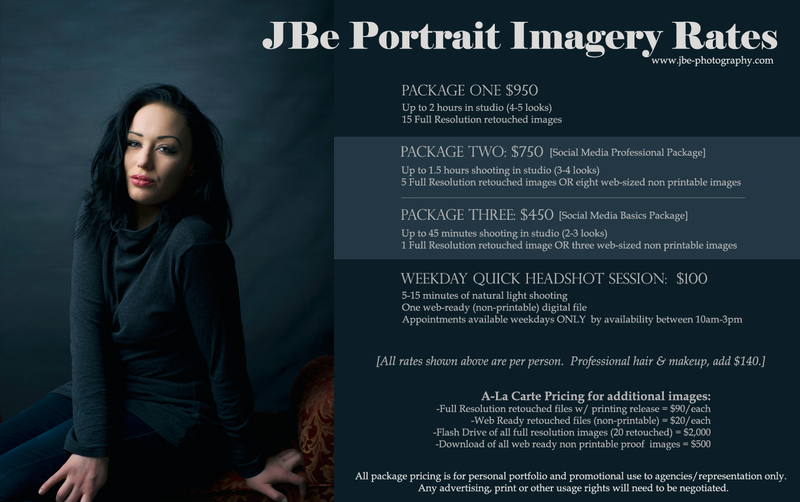 Book her today! Honestly, we can’t choose a single favorite from the images we have received. Jennifer managed to capture the essence and spirit of the entire wedding and every photo is a memory of the amazing celebration. Each image brings to life a moment, a memory, of that special night. We refuse to keep these amazing images in a stuffy photo album and plan to openly showcase the photos so that we can remember our wedding forever! Jennifer is amazing (understatement!) The way she works is seamless – she is so professional and friendly. She was treated as an honored guest and friend at our wedding. As a fellow photographer I was nervous entrusting my photos to just anyone – I literally couldn’t be happier with my images. From candids, to action shots, to portraits, the proof is in my images – Jennifer is a talented and creative photographer! Because we were having a small, intimate wedding of under 30 guests as well as being on a tight/small budget, we honestly didn’t think we were going to be able to afford a photographer. . . then we found Jennifer. She listened to our wants and needs and helped us come up with a solution to fit our budget. In the end we decided to book Jennifer for a 5 hour time slot and receive our images on CD with full print capabilities. With that said, my new husband and I have decided to book Jennifer to photograph us for some other occasions in the near future! “The picture that is currently on Jen’s website above the “wedding’s” button is our favorite image. It is Rob and I overlooking the river. Rob is being sooo sweet and Jen did a great job of capturing our moment plus the beautiful Milwaukee background. There were so many pictures that Jennifer took that I loved, however, one of my favorites is one she took of my husband and I in a big open field, the wind was blowing my veil and the fall colors were gorgeous! Captured the moment perfectly. Jennifer was very time-conscious! Even though pictures started later than scheduled, we were still back for the reception early! She took many priceless candid shots, and the portraits were stunning. I think that some of our favorite pictures are the ones she captured when we had no idea she was even there! “My husband and I have so many favorites from the proofs that we received from Jennifer last night. I don’t think that we could narrow it down. All of them are our favorites! 🙂 Jennifer was AMAZING all day. I was talking to my husband as we were browsing our photos, and my most common comment was that I had no idea that there was a photographer there for most of the shots. Not to mention, before the ceremony, I was having an issue with my acid reflux and Jennifer took the time to ask the kitchen for some milk for me! Definitely not in her job description, but she helped anyway! I’m trying to think if I have a favorite photo…there are so many to choose from! I love them all for different reasons! She captured every detail of our awesome day. Our wedding album is absolutely gorgeous, she did a wonderful job of putting it together. We couldn’t be happier with how everything turned out. She also made a guest book of our engagement pictures for people to sign at the reception. We received so many compliments on it; many people said they couldn’t wait to see our wedding pictures because our engagement pictures were so awesome! It was a great idea! Jennifer captured all the important moments of the day, many of them without us even knowing. She definitely has an artistic eye and made us feel at ease the whole day. She is extremely talented taking all kinds of pictures – candids, action shots, and portraits. Once the dancing started, Jen opened up the “crazy booth”! She brought some fun props from home, a couple studio lights and started snapping away as groups of people lined up to get their goofy, fun pictures taken! It was a huge hit, people loved it and are still talking about it. Jennifer has lots of packages to choose from. She sat down with me and listened to what I was looking for in a photographer. We decided to have her all day! This included a 2 hour engagement session, unlimited time and stops on our wedding day, 3 beautiful coffee table books (one for us and each of our families – which turned out amazing!) a disc with all the pictures and printing release, a proof book of all the images, including B &W, 300 thank you photo cards/envelopes, and a 1 hour portrait session 1 year from now! We couldn’t have asked for anything else! There were so many awesome images from the day – that choosing one is a little hard. If I had to narrow it down it would be the one of Aaron and I kissing under my veil or us standing in front of the brick wall. Her eye for detail and catching those split-second moments created some of the best pictures we have. She captured subtle, sweet moments between Aaron and I – but also caught us being our goofy selves. Our portrait shots and those of our wedding party were beautiful. The day was amazing and Jennifer was able to catalog it on film for us, so we’ll always be able to look back and enjoy. Amazing is a word I often use to describe Jennifer Brindley. From the moment I met with her, I knew she was supposed to photograph my wedding – and she didn’t disappoint. On the big day, Jennifer arrived early and was ready and excited to start shooting. Her enthusiasm put my camera-shyness at ease and her sense of humor was a perfect fit for our group. She got along exceptionally well with the entire wedding party and just as well with all of the guests. I would absolutely recommend Jennifer to anyone looking for a photographer. There were so many favorite photos to choose from… the candids of the ceremony were fabulous but my favorite would probably be the one taken on a wooden bridge with the sun peeking through the trees. “You’ll fall in love with her photographs! I think my favorite photo was when she caught my reflection in the mirror as I was walking down the aisle with my dad. That or the one of the flower girl sitting pensively in the chair where we removed the garter. I loved the ones with my groom before the wedding, too. It’s really hard to pick one. She was very subtle and unobtrusive. I think she has a true talent at candids, action shots and portraits: a photojournalist of the highest stature. She captures moments that are so subtle that most people watching probably missed them. She makes it all look beautiful, too. “We had so many favorite pictures! We were married at a public park behind a hill that she made look like a green mountain. She ran around to catch the view from amazing angles during our 10 minute ceremony. Reception photos were done in the moment and in poses. We love all of them! “I would recommend Jennifer to anyone. I think my favorite is of me and my husband sitting outside, on a park bench in front of a beautiful golden fall tree. We’re kissing and laughing and just paying attention to each other. Jennifer struck a great balance between being personable and discreet. She did a good job directing us in the posed photos and keeping our attention on her. She has a great personality and is very exciting and fun to work with so it was easy to focus on her and her direction. However, she was also unobtrusive when she needed to be. For example, I have no recollection of her taking photographs at all during the ceremony. She wasn’t distracting at all when I focused on the ceremony or when I was having a little moment with my husband. I found her prices to be extremely reasonable, and a great value. Her style and the quality of the pics were similar to photographers we looked at who easily cost double. “Jennifer is amazingly creative with a genius artistic eye! Jennifer found a way to blend in with the guests and the wedding setting. Her equipment was not super bulky. She didn’t get in anyone’s way. The posed shots and the action shots were both incredible. She captured some amazing expressions that displayed people’s emotions in the action shots. She also was able to capture people’s best features in the posed photos. We had our engagement session and photos done through Jennifer. They were phenomenal. She included our save the date cards, the engagement photo session, the 6 hours wedding photo session. Also, she included an 8 x 10 matted signature photo for wedding guests to sign at the reception. And a coffee table album. – Great value!